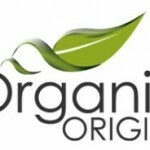 A number of companies make and supply organic syrups that can be used as sweeteners. Most are made from organic fruit extracts, corn extracts, saps, and organic sugar. Some are fruit extract only. Corn syrup is becoming an ubiquitous ingredient in many processed foods as it is a cheap sweetener. It is a listed ingredient in almost all processed foods. Corn syrup is produced from corn starch. Corn is high in sugar and therfore high on the glycemic index. Most of the corn syrup added to food is high fructose corn syrup (HFCS) which contains 14 percent fructose. There are some possible health risks to consuming fructose in the large quantities – its presence in most processed foods means if we are eating a mainly processed food diet, we are consuming large quantities. Maple syrup gives food a wonderful flavour. 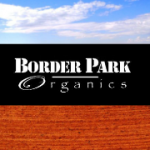 The difference between organic and non-organic maple syrup is not only the chemical free nature of organic but also the organic certification limits the number of taps per tree. Organic maple syrup collection cannot use formaldehyde in the tapping of trees whereas conventional tree tapping uses formaldehyde. There are different grades of maple syrup depending on when in sap is taken from the tree. A grade is syrup from early tapping and is finer, clearer and lighter in flavour while the syrup from the end of the season is thicker, richer, deeper in colour and flavour – B grade. B grade syrup is usually less expensive. Maple sugar is maple syrup in powered form and can be used in place of sugar in baking. Organic maple syrup is available in Australia, and provides a distinct flavour as well as sweetness. Maple syrup is twice as sweet as granulated white sugar and is made by boiling maple sap until the liquid almost entirely evaporates. Fruit contains fructose which is a good choice for an alternative sweetener because it metabolises slowly in the body and avoids the surges of ordinary sugar. Fruit fructose is different from High Fructose Corn Sweetener. Fructose is low on the glycemic index but can still raise insulin levels and have the same effects on our health as sugar. Moderation in all things is recommended. Fruit juice concentrates make good substitutes for sugar. They also add a distinctive flavour. Popular fruit juice concentrates are apple, orange and banana. Mashed bananas can be used to sweeten smoothies, pancakes and baked food. Dates that have been pureed in hot water can be used in a similar way. Date sugar is made by grinding dates. Unlike sugar it does not dissolve and is best used in baking instead of drinks. Date sugar provides sweetness, flavour, fibre and nutrients. Date syrup is dark like molasses with the consistency of honey. It has a very distinctive flavour. Brown rice syrups and barley malt syrups have the consistency of honey but are not as sweet. Some of these syrups have added corn syrup. Agave syrup, sometimes called agave necter comes from the Agave cactus. It has been traditionally been used to make tequila, and since the 1990s has been developed as a sweetener. It is slightly more runnier than honey, dissolves readily, contains minerals, and is absorbed into the body slowly. It is also low on the glycemic index. It contains 10 percent glucose and 90 percent fructose. The darker syrups have a slight flavour but both light and dark agave syrup can be used to sweeten drinks, smoothies, baking and anything else you may want to sweeten. Golden syrup is the syrup from the first boil of sugarcane. It has a thicker consistency than honey and has a distinctive flavour.